One of my friends, Paul, turned 30 this week and there was a bit of a shindig this weekend. I wasn’t intending to make anything, as I was all cake baked out from last weekend’s action, but seeing as it was a special birthday I decided to stop being lazy and bake! They are really easy and simple to make. 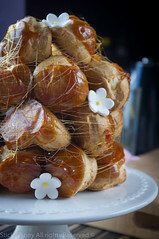 I had been pondering over what to make as part of Maison Cupcake’s Forever Nigella #2. I’ve never taken part in a blogging challenge before and as a newbie to this kind of thing, am quite excited by it! 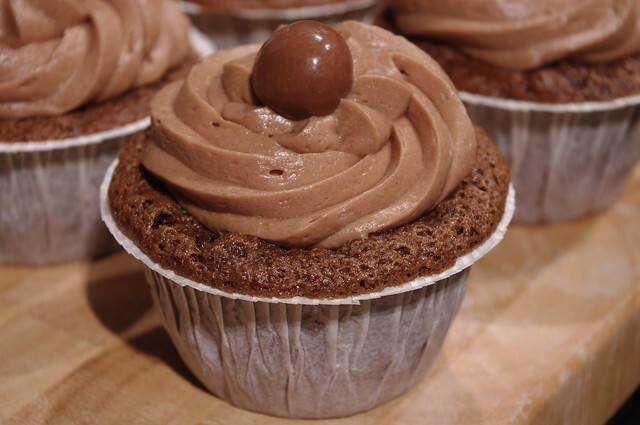 So the recipe for the Malteser Cupcakes derives from Nigella’s Feast where in its original form is a 20cm layer cake, topped with a crown of malty chocolate balls. I decided to turn this cake into cupcakes – a mixture of minis and standard sized, as I think they’re easier to eat at a party, especially the minis. I made a couple of tweaks to the original recipe, in that I added some crushed Maltesers to the cake batter for some texture contrast and I changed up the buttercream recipe, as I felt that the buttercream in the recipe was quite butter heavy with not enough icing sugar. An interesting thing to note about the recipe is that it only uses 15g of butter in the sponge. I originally thought this was a typo, but it isn’t! The sponge turned out quite dense, but in a gingerbread kind of way – the kind that gets squidgy and stickier the next day. 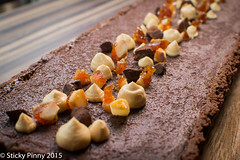 The cakes will keep for about 2 days in an airtight container. 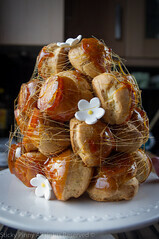 The quantities below made up 12 minis and 12 standard sized cakes. Preheat the oven to Gas Mark 4 / 160C (fan) / 180C. Line a 12-hole muffin tray and a 12-hole mini muffin tray with the appropriate sized cupcake cases. Beat the sugars and eggs until the sugar has dissolved and is light and frothy. This will take around 5 minutes with an electric mixer, probably about 10 by hand. 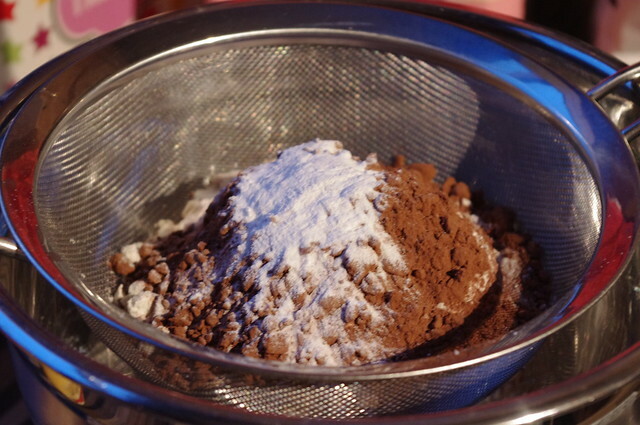 In a separate bowl, sift the flour, cocoa, bicarb and baking powder. Heat the milk, butter and Horlicks powder in a small saucepan until the butter has melted and the mixture is hot but not boiling. Whisk through whilst this is on the heat to get rid of any lumps. Add the warm Horlicks mixture into the eggs a little at a time, beating as you do this. Fold in the dry ingredients thoroughly, then fold through the crushed Maltesers. 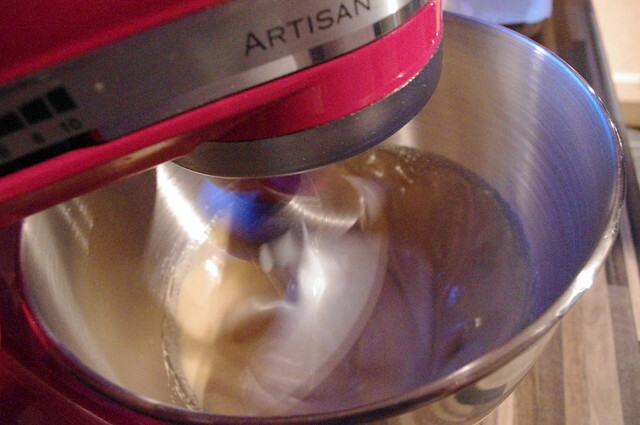 The cake mixture itself will be quite thin and runny – don’t worry as this is the correct consistency. Divide the cake batter evenly between the cupcake case. because the batter is so runny, I found it easier to pour it into the cases with a measuring jug. Fill the cases no more than 2/3 full. 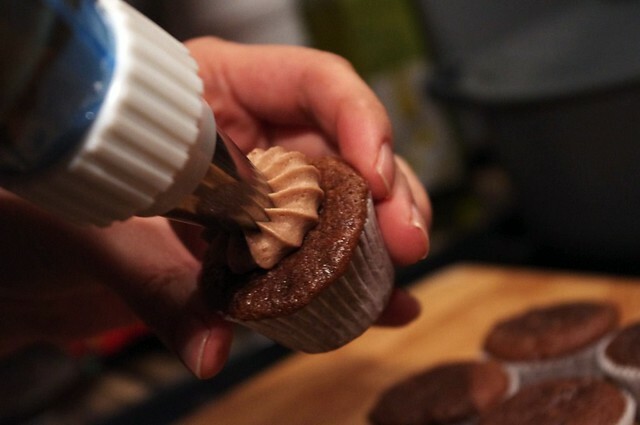 Bake in the oven for 15 minutes for the minis and 20 minutes for the larger cupcake, turning the trays after 10 minutes. 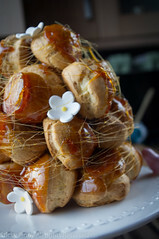 -The cakes should have risen and by quite springy. 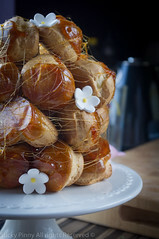 Test with a cocktail stick – if it comes out clean, they are done. 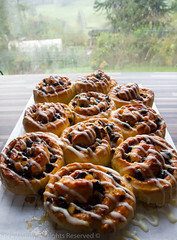 Let them cool in their tins on a rack for about 5 minutes and then turn them out onto a cooling rack. Leave to cool completely before you ice them. 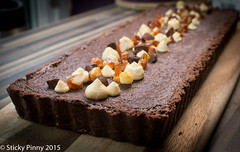 Beat the butter, milk, Horlicks and cocoa along with half the icing sugar until smooth. This can take up to 10 minutes using an electric mixer. 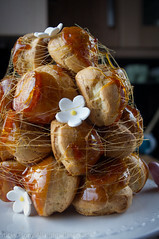 Gradually add the rest of the icing sugar and beat until the icing is smooth and creamy. 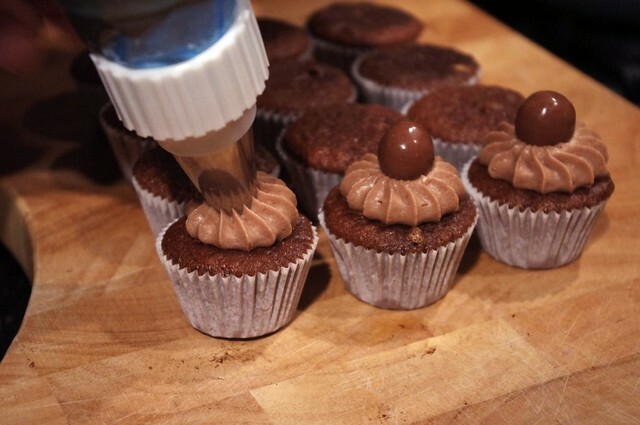 Pipe or spoon the icing onto the cupcakes, topping each one with a Malteser. 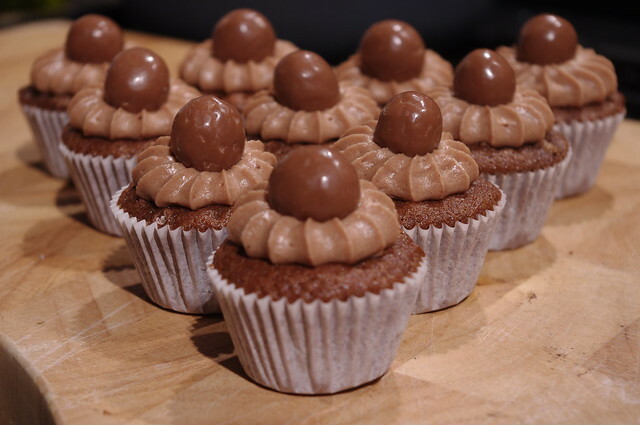 The cakes, especially the icing, really tasted like Maltesers – not too sweet or rich and quite light. They went down a storm at the party – all the minis went in the space of about 5 minutes, with my friends Paul and his wife Claire hiding away the larger cupcakes to enjoy alone over the weekend. 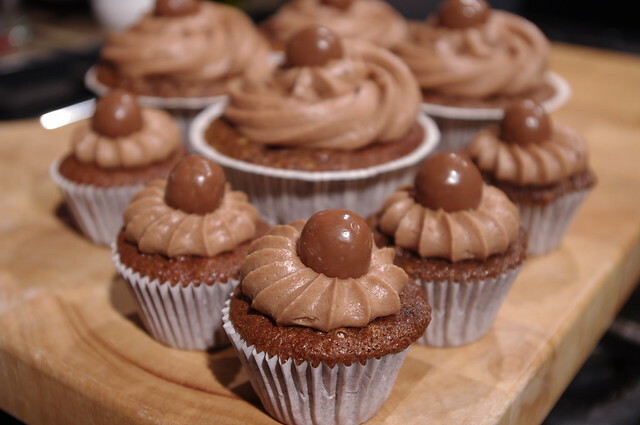 >I love maltesers and made some maltesers cupcakes myself last year – I had no idea Nigella had done a maltesers cake too. One of the things I'm especially enjoying about this challenge is how people are managing to introduce me to Nigella recipes I didn't know about!Thank you for taking part in Forever Nigella! >Oh my! 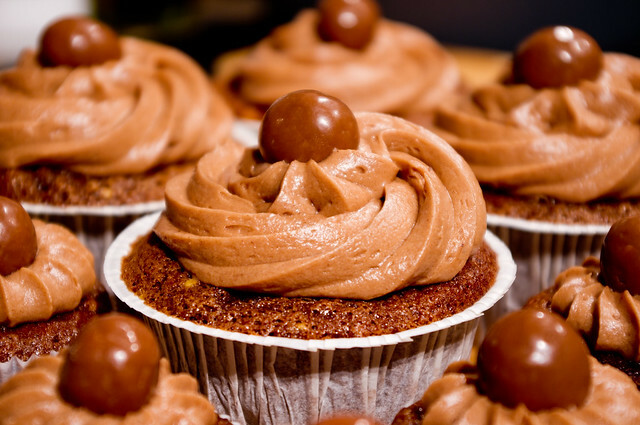 they look so cute and the maltesers on top is a delicious crunchy touch! >Your mini cupcakes are so cute and they look delicious! >I've made the large version of this cake many times but never as cup cakes. What a great idea – you can come to a party at my house anytime. >Thanks for all of your lovely comments! The mini ones are really cute! Thank you. Do let me know what you think when you do! 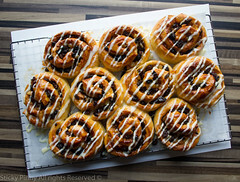 Good going to make these. « I’ll Beetroot-ful, this soup is delicious!